Apple iPhone X - the 10th-anniversary edition iPhone Launched. Apple iPhone X — the 10th-anniversary edition iPhone — that was eagerly awaited and was being rumored since the last couple of months, is finally official. Tim Cook, in typical Apple's 'One more thing' tradition, announced the iPhone X (pronounced as the iPhone ten) at the Apple event at the Steve Jobs theater. The iPhone X will start selling for $999 from 3 November onward. Pre-orders start from 27 October in over 55 countries including India. The iPhone X will be selling in India for Rs 89,000 from Apple Authorized retailers. The Apple iPhone X is the first Apple smartphone to feature an edge-to-edge display, which is being called the Super Retina Display. It makes use of an OLED panel. It is a 5.8-inch display with a 2436 x 1125 pixel resolution which puts the pixel density at 458 PPI. The HDR display supports HDR10 and Dolby Vision standards and it is a True Tone display, that is also present on the iPhone 8 and iPhone 8 Plus that were also announced alongside the iPhone X. The display also supports 3D Touch and has a finger-resistant oleo-phobic coating. The phone will be available in space gray and silver colors and in 64 GB and 256 GB capacities. 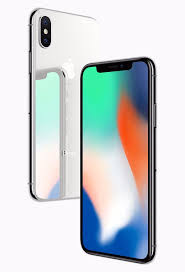 The Apple iPhone X is powered by the Apple A11 Bionic chip which comes with a 64-bit architecture, and houses a six-core processor which has two high performance cores and four high efficiency cores. The A11 Bionic chip also houses the dual core neural engine which Apple is using for its augmented reality feature sets. Home button, which has been a part of the iPhone since its first iteration, will not be seen on the Apple iPhone X. Considering there is no fingerprint sensor either on the iPhone X, Apple is relying completely on a new method of authentication — Face ID. The Face ID uses the TrueDepth camera module on the front camera of the phone to create a 3D mapped image of your face, using 30,000 dots to map your face, which can be later used to unlock the iPhone X or even make payments. Apple iPhone X makes extensive use of gestures to replace the functions of the hardware home button. A button on the side of the phone will be used to fire voice assistant, Siri. The entire iPhone line up announced at the Apple event also comes with water and dust resistance. The glass back is also present on all the iPhones, which enables wireless charging support, using the Qi wireless charging standard. Just like the iPhone 8 Plus, the iPhone X also has a 12 MP dual camera setup. While the wide-angle lens will have a f/1.8 aperture, the telephoto lens will get a f/2.4 aperture. Both the dual camera sensors come with optical image stabilization. The iPhone X employs a quad LED two-tone flash unit between the two camera modules. The rear camera is capable of shooting videos in 4K at 24fps, 30fps and 60fps and 1080p FullHD videos at 30fps or 60fps. You can also shoot slow-mo videos at FullHD resolution at a staggering 240fps. On the front face, you have what Apple calls the TrueDepth camera module which house a bunch of sensors along with the front facing 7 MP camera. The TrueDepth camera module comprises the infrared camera module, proximity sensor, flood illuminator, ambient light sensor, speaker, microphone, front-facing 7 MP camera and a dot projector. The dot projector is used to map your face using 30,000 dots which will help with Face ID, irrespective of any superficial changes — such as growing beard, cutting short your hair, wearing glasses and so on. The TrueDepth camera will also be used to activate Animojis — Apple's latest take on animated emojis, for which you can use the facial recognition features of the front camera to animate the emojis the way you want. This works by the front camera mapping 50 facial muscles in real time to the emojis. The front-facing camera also supports Portrait mode, that was so far only available for the rear cameras. The newest features — Portrait lighting — will also be supported on the front-facing camera. At the heart of the Apple iPhone X is the Apple A11 Bionic chip which does all the heavy lifting when it comes to smartphone operations as well as the camera functionalities. The Face ID computation is done inside the Neural Engine within A11 Bionic chip. Apple-designed accessories including leather and silicone cases in a range of colors will be available starting at Rs 3,500, while a new iPhone X Leather Folio will be available for Rs 8,600. Lightning Docks in color-matching metallic finishes will also be available for Rs 4,700, prices may vary.